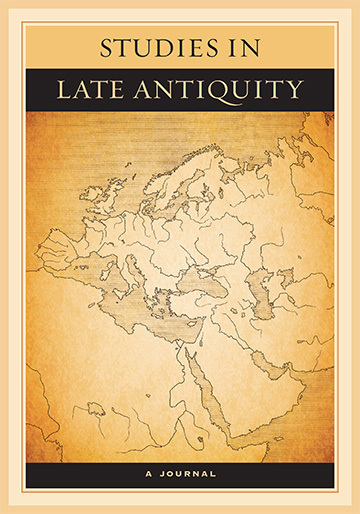 UC Press is pleased to introduce Studies in Late Antiquity (SLA), a new online quarterly journal scheduled to launch in February 2017. Edited by Elizabeth DePalma Digeser (University of California, Santa Barbara), SLA aims to publish scholarship on a wide range of topics pertaining to the world of Late Antiquity (150 – 750 CE). A defining focus of the journal is fostering multi- and interdisciplinary research that emphasizes the interconnectedness of the Mediterranean with other parts of the late ancient world. Call for papers: SLA is now accepting papers for review and possibly publication. Comparative and methodologically innovative papers are especially welcome. Visit ucpress.edu/go/sla for more information and submission instructions, and to sign up for updates about the journal launch. *Are you attending the 2016 Medieval Association of the Pacific annual conference (3/31 – 4/2) at UC Davis? If so, be sure to meet the SLA editors! See the full editorial board here.